For dollar value produced, the computer-intensive process of "mining" digital currency consumes more energy than physically mining gold, platinum or rare-earth metals, new research has found. Mining for precious metals is hard work, involving massive machines, huge smelters and harsh chemicals to extract resources like gold and copper. But a lot of 'virtual' work goes into mining digital currencies. Many digital currencies — Bitcoin is the most famous example — are produced by having computers grind away at ever more difficult mathematical problems. 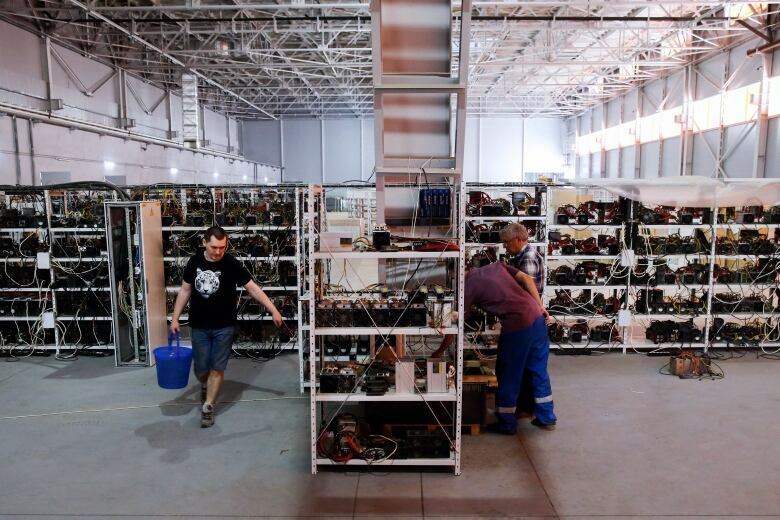 A new study investigated how the energy consumed by these two processes compared, and found that crypto mining can use more than four times as much energy, for value produced, as mining for real resources like gold, copper, and platinum. "We found that for Bitcoin, Ethereum, Litecoin and Monero​, which are four of the larger cryptocurrencies, they consumed anywhere from 7 to 17 megajoules per dollar generated, whereas gold, copper, platinum, and rare earth oxides consumed anywhere from four to nine megajoules per dollar generated," environmental engineer Max Krause, told Quirks & Quarks host Bob McDonald. "Bitcoin mining consumed three times as much energy per dollar generated than gold mining." Krause started looking into this because he was contemplating doing some digital currency mining himself. "Once I started looking at the calculations and running the numbers, the amounts of energy that I'd be consuming in just my apartment were pretty astonishing," said Krause. "If I'm doing this in my apartment by myself what is everybody doing across the network?" Once Krause added up the numbers, he was shocked by the sheer amount of energy being consumed globally. 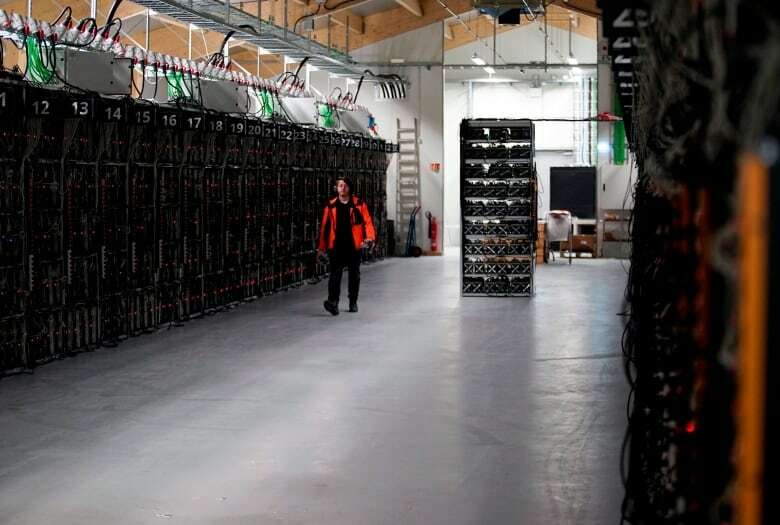 "Bitcoin is on track to consume as much energy as Denmark." As digital currencies like Bitcoin get more popular, the energy requirements will only rise - and not only because of the increased interest in mining. "As Bitcoin became more valuable in 2016 and 2017, the amount of competition and the amount of interest in mining increased dramatically," he said. "The more interest there is, the harder the calculation becomes, and so the more energy is required to complete that calculation." Krause's concern is not just for the amount of energy consumed, but also for the volume of climate-warming carbon emissions this energy represents. 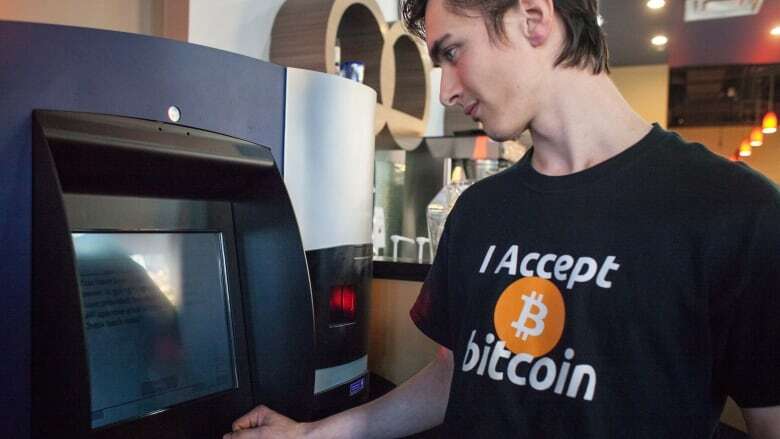 He calculated that for the period of January 1, 2016 to June 30, 2018, mining for the four major digital currencies he studied also represented between three and fifteen million tonnes of CO2 emissions.